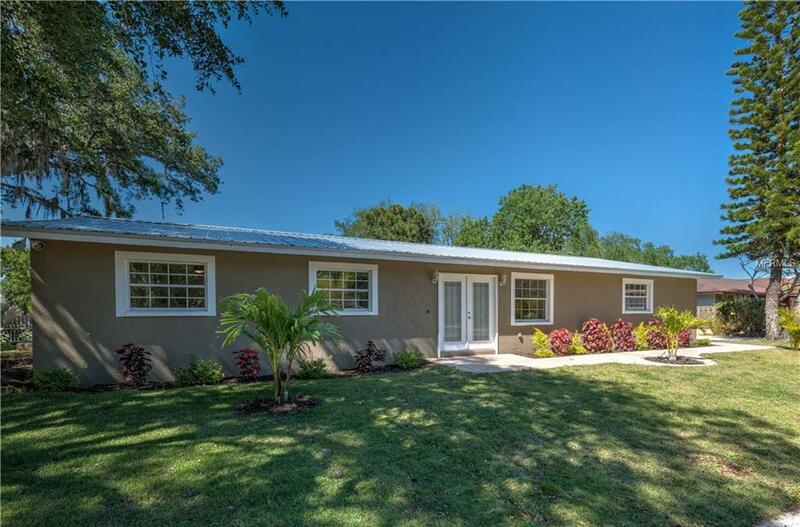 Welcome home to this beautiful 3 bedroom, 2 bath home situated on a quiet corner lot in Sarasota Lakes. This light and bright home has been beautifully updated and offers an open floor plan with spacious rooms and beautiful tile floors. The updated kitchen features stainless steel appliances, granite countertops, decorative tile backsplash and wine fridge. The kitchen opens to the spacious living dining area with 2 ceiling fans and pendant lighting. French doors lead to a lovely outdoor space complete with a covered and screened lanai and outdoor fire pit. Retreat to the master bedroom with updated en-suite bath that features granite counters, dual sinks, updated cabinets and a beautifully tiled shower with rain shower head. The additional bedrooms and bath have also been updated and are perfect spaces for family or out of town guests. Conveniently located close to I-75, great schools, and parks. Only a short drive to the areas world-famous beaches, downtown, or all the shopping and dining options near UTC mall.